Nadia Sablin, a native of Russia, earned a BFA from the Rochester Institute of Technology and an MFA from Arizona State University. 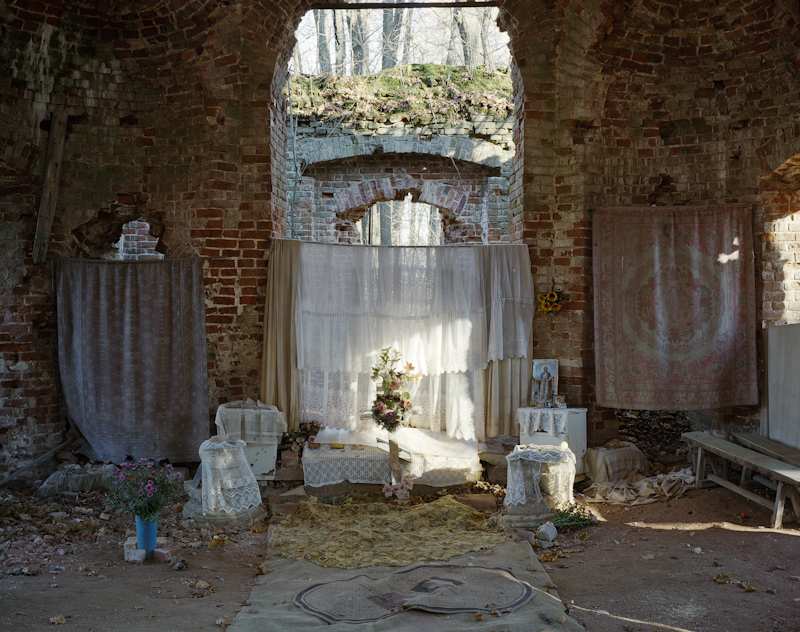 She is a photographer, whose work investigates the relationship between documentary and fictional storytelling and explores the larger world through close personal narratives. She has received the Firecracker Photographic Grant, a New York Foundation for the Arts fellowship, a Puffin Foundation Grant, and the Peter S. Reed Foundation grant in Photography. Her work has been featured in such publications as the New York Times, the Guardian, the Moscow Times, Slate, The New Yorker, American Photo, and the Financial Times. 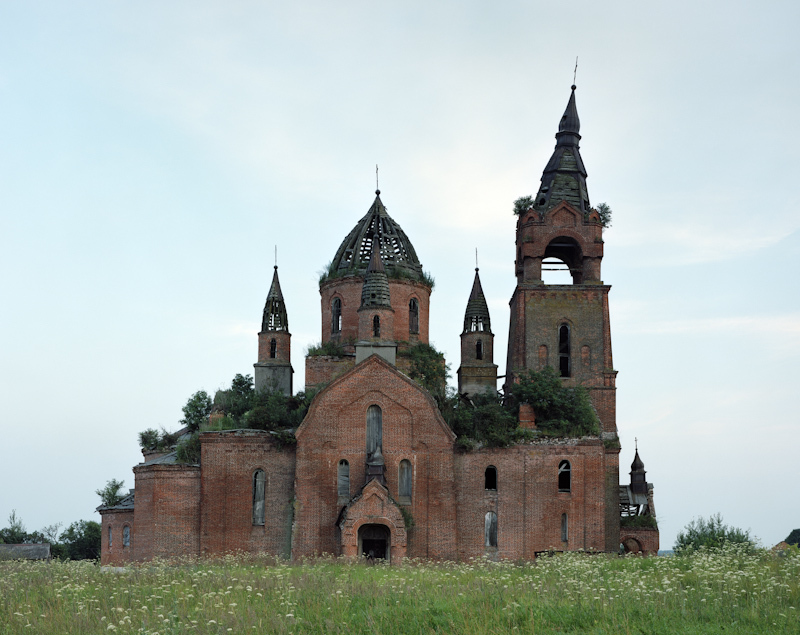 Nadia Sablin’s photographs have been seen in solo and group exhibitions across the US, including the Philadelphia Museum of Art, the Southeast Museum of Photography, Blue Sky Gallery in Oregon, the Cleveland Museum of Art, Bellevue College in Washington, and Texas Women’s University School of Art among others. 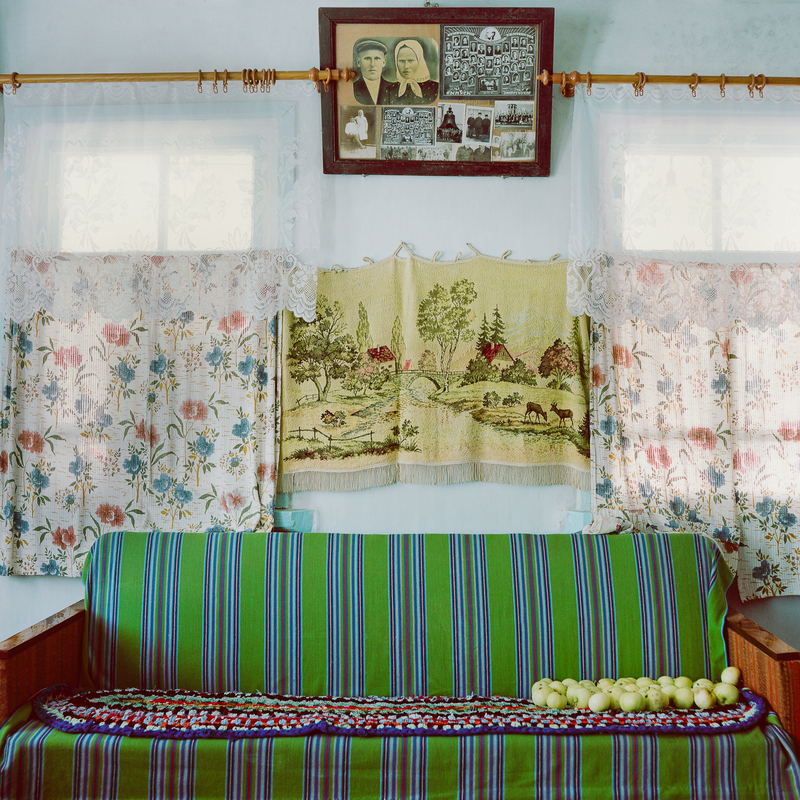 As a recipient of Center for Documentary Studies/Honickman First Book Prize in Photography, Sablin’s first monograph, Aunties, was published by Duke University Press/CDS in November 2015. Russianfoto: Can you tell us how the idea came to you? 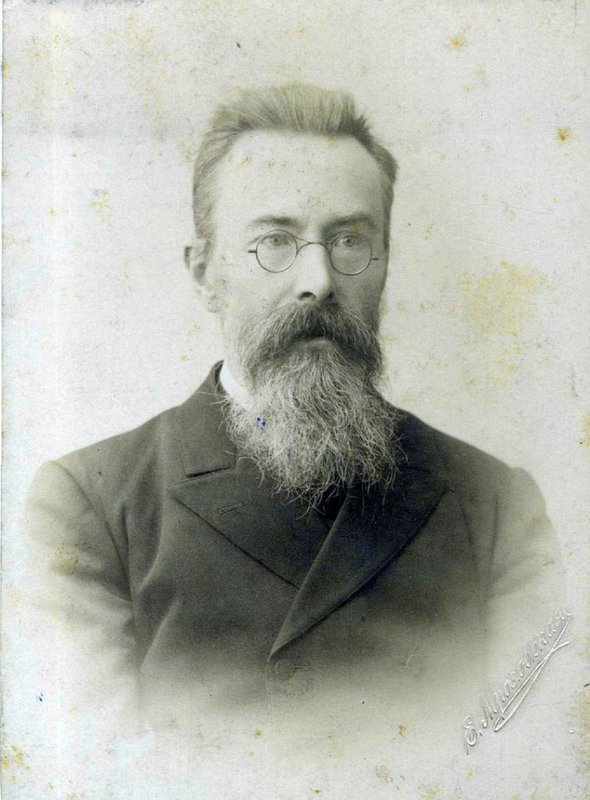 Nikolai Rimsky-Korsakov by Elena Mrozovskaya, 1895. Elena Mrozovskaya was one of the major women photographers working in St. Petersburg in the late nineteenth and early twentieth centuries. Her date of birth is unknown. She studied photography in Paris and St. Petersburg and went on to take numerous portraits before her death in 1941, in a Soviet world far from her experience with Princess Orlova and the last gasp of tsarist Russia. Above is her portrait of Rimsky-Korsakov, one of the great Russian composers of the nineteenth century. He is as austere as Princess Orlova is grand. There is no plumage around him, just a sober dark suit and simple wire-framed glasses. Still, in a sense, the two images rhyme: where the Princess’s kokoshkin lifts the eye up away from the face, the composer’s scraggly gray beard brings the eye down. It speaks of seriousness. I think much of what Mrozovskaya did involved using outer markers of status (tiara, beard, spectacles, etc.) as ways into understanding a portrait. We find the same thing in religious painting. An “attribute” identifies a saint (a shield for St. George, a wheel for St. Catherine, etc. ); in these images, the attribute is secular and helps identify an important aspect of the sitter’s life. 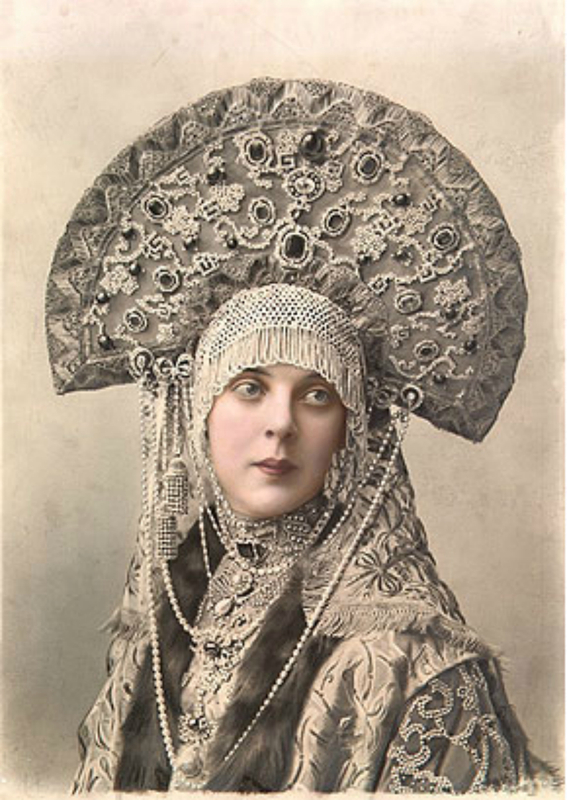 Princess Olga Konstantinovna Orlova (nee princess Beloselsky-Belozwersky) wearing a Kokoshnik for the 1903 Ball in the Winter Palace. 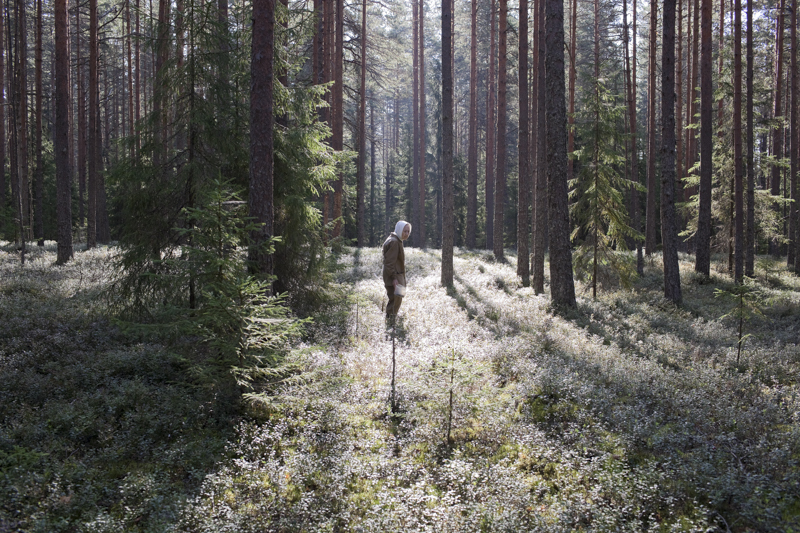 Photograph by Elena Mrozovskaya. The portrait of Princess Olga Orlova taken by Elena Lukinichna Mrozovskaya is a remarkable image in many ways. The first thing that strikes us is probably the costume, especially the fantastic, bejeweled kokoshnik she’s wearing, then the magnificent gown dripping in pearls. Together, they frame the princess’s face, the only “natural” element in a Byzantine display of wealth. And that is probably the point: the portrait is not about personality, but about status. And fantasy. Mrozovskaya took the photograph at the infamous Ball of 1903 held in the Winter Palace in St. Petersburg. 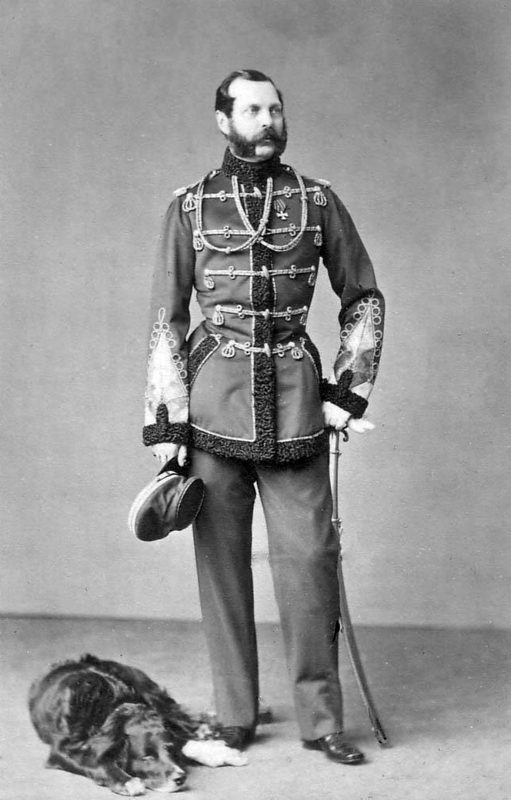 The event, sponsored by Nicholas II and Alexandra, filled two long evenings with sumptuous music, dance, and food, while the nobles in attendance wore costumes, designed by Sergey Solomko to evoke the seventeenth century. Some of the costumes were actual, historic pieces brought in from the Kremlin, but pure archeology was beside the point. 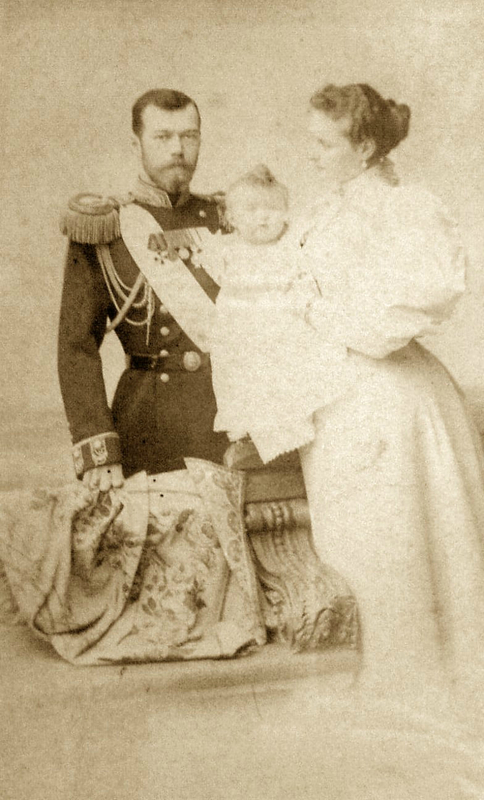 The kokoshnik worn by the Princess would normally be paired with a sarafan, or pinafore, which is not the case here. The costumes harken back to a Golden Age, accuracy be damned. The Ball was an evening of fantasy, in a sense the last hurrah of tsarist Russia. Inside the Winter Palace all was aglitter; outside the people starved. Hundreds of photographs were taken to commemorate the Ball. Mrozovskaya’s is one of the most striking, perhaps because of the tension created between the porcelain-like face with its large eyes and the staging of the costume. More tomorrow! Russianfoto: Можете ли вы рассказать нам, как у вас появилась идея сфотографировать руины? Петр Антонов: Идея серии фотографий с руинами появилась у меня во время поездок по центральной России, где с дороги часто можно увидеть разрушенную церковь, но она связана и с более ранними воспоминаниями. Вскоре после этого журнал «Большой город» предложил мне сфотографировать для журнала руины дореволюционных усадеб в московской и соседних областях. Когда я снимал усадьбы, у меня возникла мысль о дореволюционном периоде, как о «русской античности», времени не очень отдаленном, но имеющем такое же отношение к современности, какое Древняя Греция титанов и мифических героев имеет к Греции наших дней. Интересно, что усадьбы (как и многие церкви), по большей части построенные в 19 веке в ампирных или неоклассических формах, и внешне производят впечатление античных руин. В своём проекте я всё-таки решил остановиться на руинах церквей, как на более противоречивом объекте, задающем зрителю больше вопросов. С усадьбами и революцией всё относительно понятно: были богатые, у них были большие дома, были бедные, которые пришли и эти дома сломали. С церквями всё сложнее: конечно, были церкви построенные помещиками, но большинство строилось на деньги простых прихожан, и их разрушение гораздо сложнее объяснить классовыми противоречиями. Термин же «русская античность» в итоге стал отправной точкой для серии. Russianfoto: Есть разные способы сфотографировать руины,что вдохновило вас, изобразить их именно так? Анастасия Цайдер любезно прислала нам текст из её серии, «Мценск». 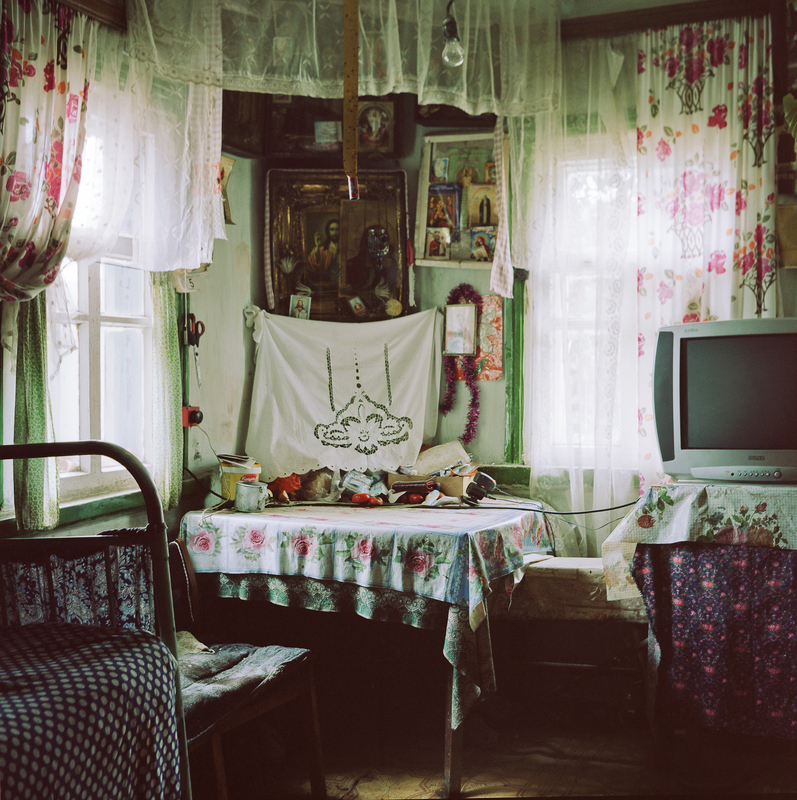 Anastasia Tsayder graciously sent us this text on her series, "Mzensk." Анастасия Цайдер -документальный фотограф, исследующий культурные и общественные взаимосвязи современной России в своих проектах. Фотографии публиковались в The Guardian, Wired, Bloomberg Market, Prime Russian Magazine, Декоративное Искусство, Calvert Journal, Lensculture, Сolta,. В 2015 году - финалист Премии Кандинского в номинации “Молодой художник”, принимала участие в Фестивале «Rencontres d’Arles», серия «Мценск». Karl Bulla, Revolution in Petrograd, 1917. Someone should write a novel about Karl Bulla. 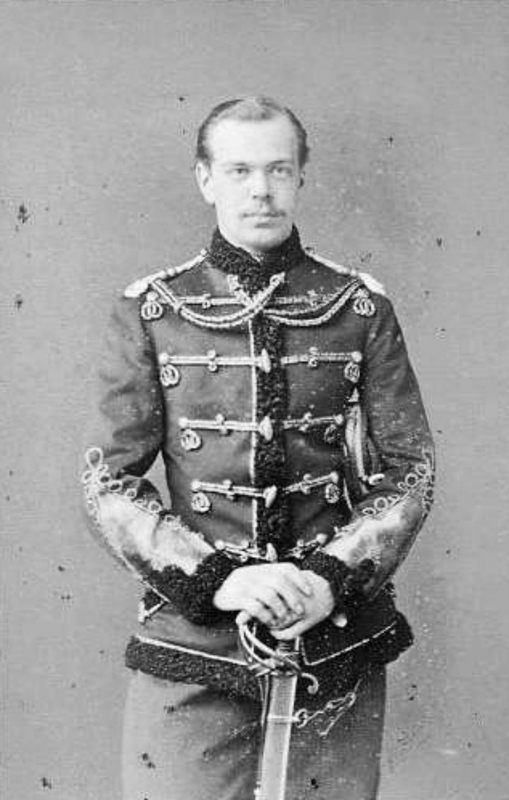 This man born in Prussia, who escaped to Russia, opened a photo business in St. Petersburg, reported on the vast diversity of Russian life in the late nineteenth century, and made his way to become Court Photographer to the Tsar, was in St. Petersburg (Petrograd) when the Revolution broke out in 1917. And he had his camera. 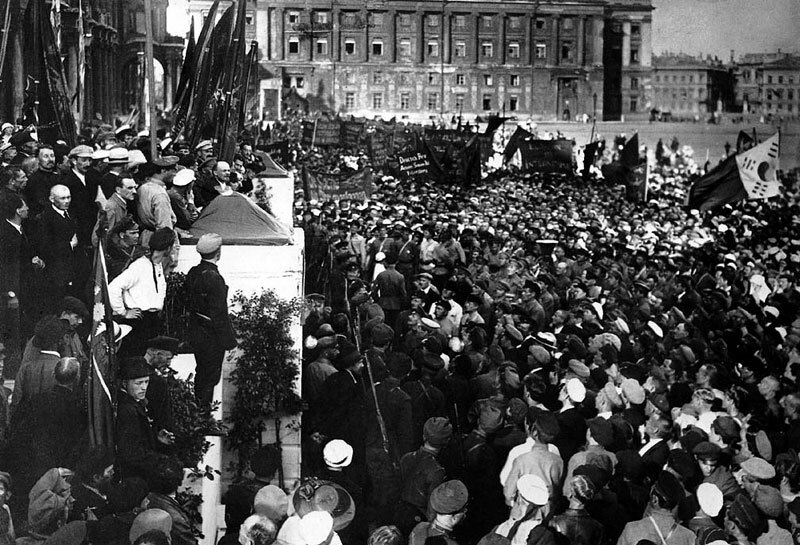 Karl Bulla, Vladimir I. Lenin at the Commemoration of a Monument to Karl Liebknecht and Rosa Luxemburg. 1920. We owe some of the most famous images of the Revolution to him. We see the whole thing unfold before our eyes in ways that no one could predict: the peaceful demonstrations, the Tsarist leaders huddled together as they strive to control the situation, the Provisional Government, Kerensky, the battalions, the riots, the shooting. Camille Pissarro had photographed Parisians ambling down the Boulevard des Capucines just a few years before from a vantage point similar to Bulla’s. But now we see something utterly different: a Revolution unfolding before our very eyes. 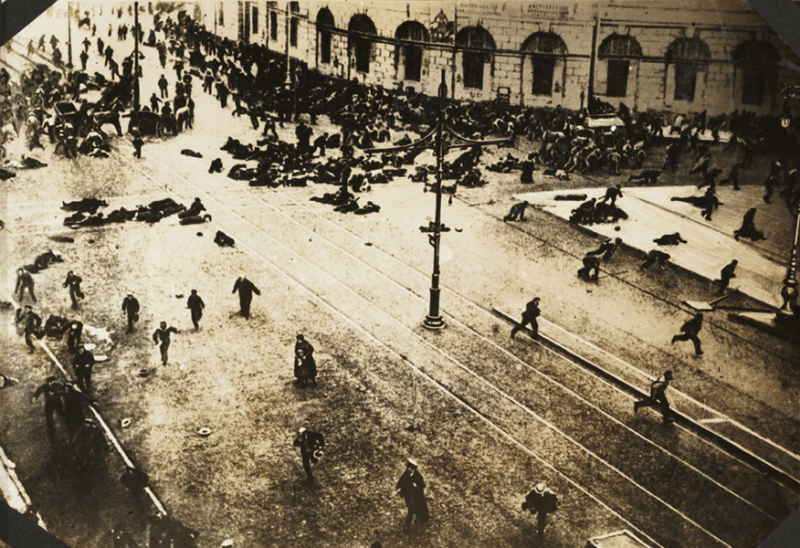 People scatter every which way, some hide behind obstacles, others run arms flung high, hats fall to the ground, horses and carriages turn around, a mass of dead bodies lies on the street, a mother protects a child. Photography made it impossible to glorify war. 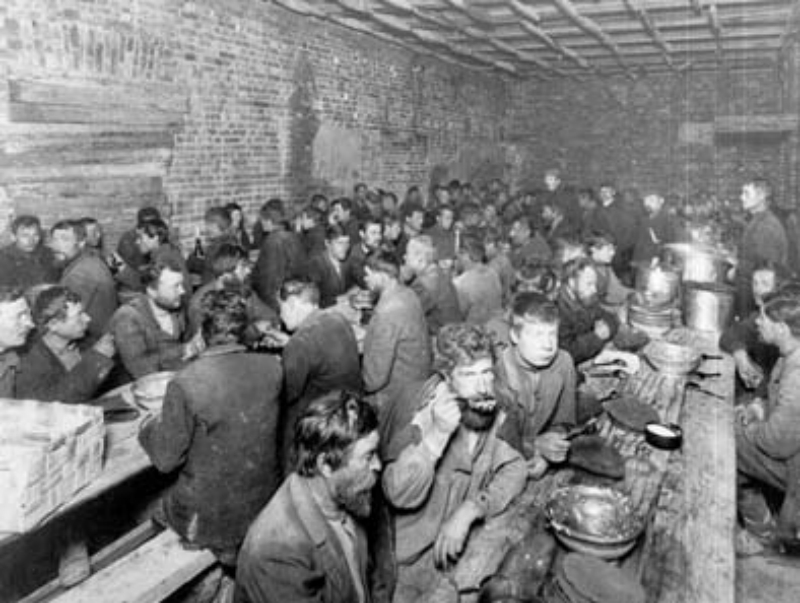 A photograph by Karl Bulla, dated January 1, 1910, depicts lunch at a homeless shelter. We see a mass of humanity as men of all ages crowd around a table eating porridge. They are dressed in dirty, ill-fitting suits, while a few men standing in the background pour out the meal and another, dressed better, looks on in a way that suggests he’s the supervisor. There are three long tables and the deep perspective, underscored by the foreshortening of the coffered ceiling, further emphasizes the thick crowd. Most of the men have tousled hair and long beards; a few are too young to have any facial hair. Most remain intent on the meal, unperturbed by the presence of the photographer, the key exceptions being the middle-aged man in the foreground and the boy to his left. Intentionally or not, their juxtaposition speaks to the depth of suffering: it is as if there were no escape. Hunger lives on, from generation to generation. The photograph is interesting from a technical point of view as well. There are no windows and the strong light on the foreground suggests that Bulla was using a flash. Note how it lights up the entire room. The technique is one that the famous Danish-born photographer Jacob Riis adopted in the 1890s. Riis had emigrated from Denmark to New York City and, using his connections with newspapers, began to photograph the seemier sides of life in that city. Perhaps Bulla knews these images? The work of Jacob Riis created an outcry that eventually led to social reform in New York and, more broadly, the United States. What Bulla was documenting was, if anything, more dire. A few years later the Revolution broke out. Bulla was there to photograph it. 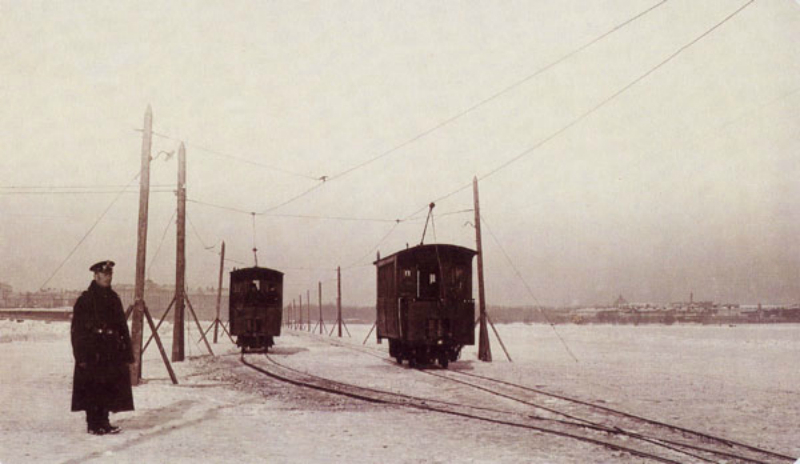 Karl Bulla, trams on the frozen Neva River. 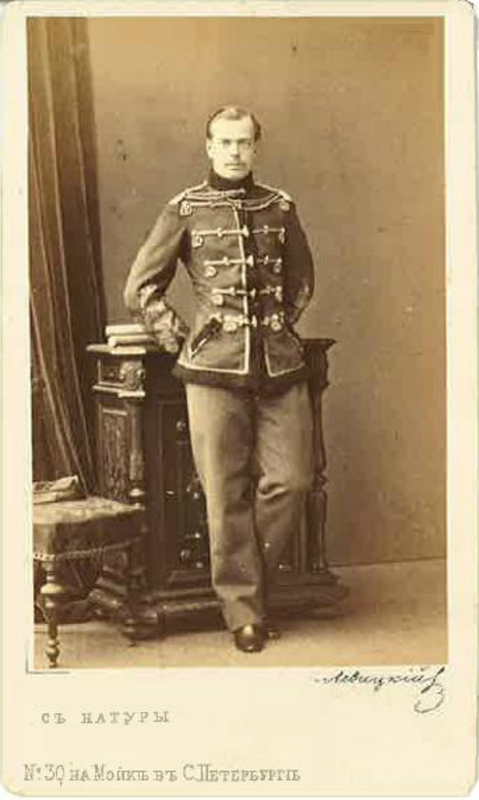 Karl Karlovich Bulla (ca. 1853/55-1929) is a figure of note in the early history of Russian photography. Born in Leobschutz (Prussia), he ran away to Russia when he was only ten or twelve years old and, to support himself, began working in a photographic studio. One thing led to another, as the saying goes, and by the time he was in his twenties he was doing a brisk business making society portraits and selling trade supplies. Bulla saw an opportunity when newspapers started publishing photographs, and soon his images were appearing before a very broad public. Karl Bulla, photograph from the early 1900s. Bulla is often credited as the first Russian photojournalist and the range of subjects he covered was quite broad. The State Archive in St. Petersburg owns over 132,000 negatives of his work. 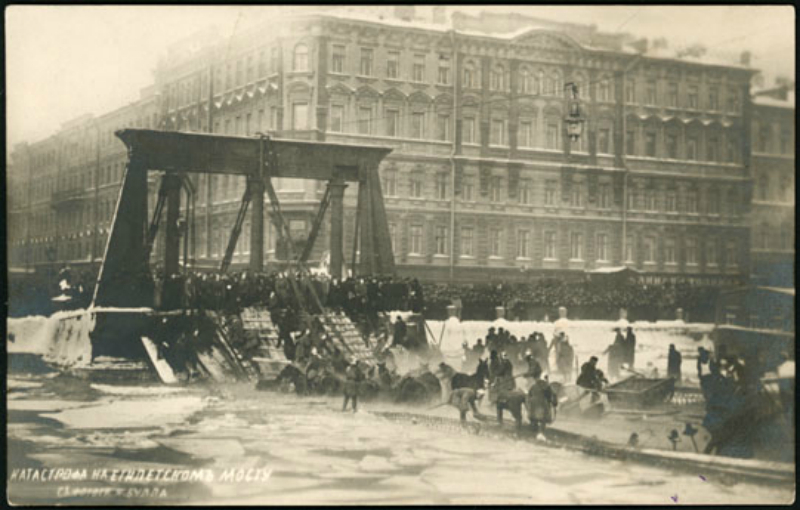 Karl Bulla, сollapse of the Egyptian Bridge, Saint Petersburg. Tomorrow I will discuss one of his most interesting images. Stay tuned! 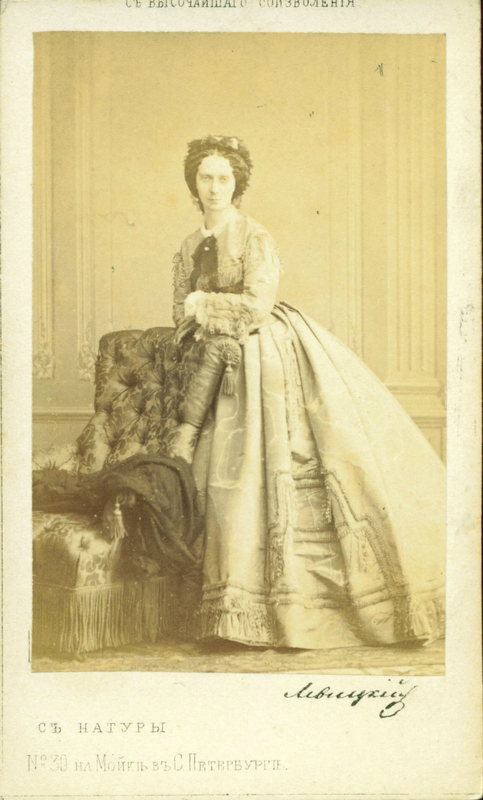 Empress Consort of Alexander II Maria Alexandrovna. by Sergei Lvovich Levitsky, 1855. Given the masterful quality of his work and his many innovations, how is it that Levitsky is not better known in Russia and abroad? Maybe he was just born at the wrong time. 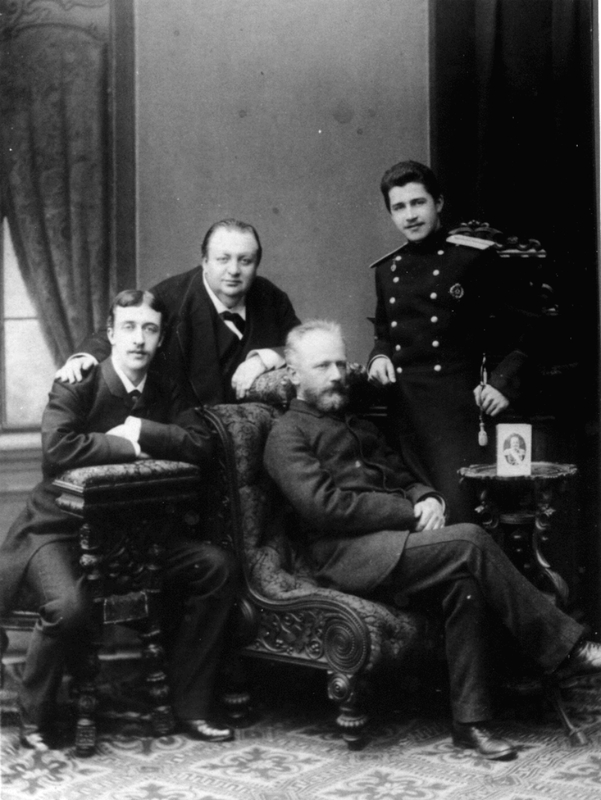 His major patrons—Alexander II, Alexander III, and Nicholas II—could not have been better chosen to help him fall out of grace once the Bolsheviks came to power. Despite photographing Herzen, the father of socialism, Levitsky’s work smelled of tsarism and that was enough to undermine his position as a leading innovator in early photography. 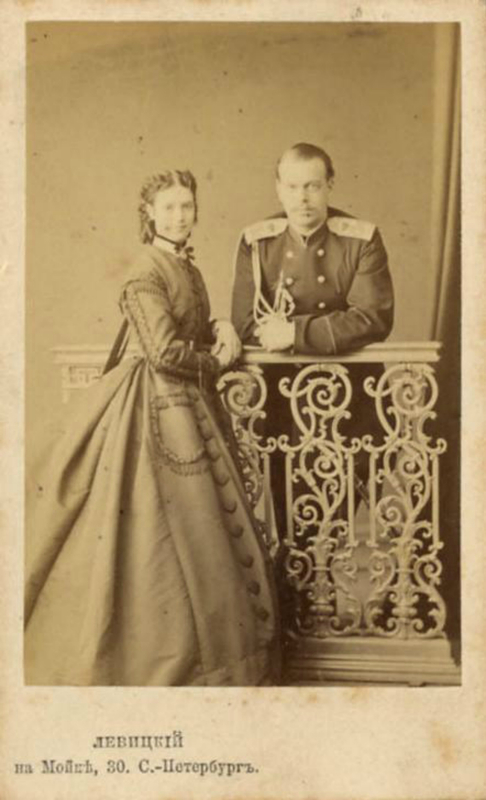 Tsarevitch Alexander later Alexander III and Princess Dagmar of Denmark, by Sergei Lvovich Levitsky 1865. Bolsheviks also believed that photography smacked of a corrupting Western influence and that real photography only began after the Revolution, as it acquired aims and techniques compatible to the new regime. Tsarevitch Alexander later Alexander III, by Sergei Lvovich Levitsky 1865. Perhaps, too, the imperial patronage he enjoyed undermined his later work from an artistic point of view. Photographing a great thinker seems to have given him a freedom to peer beneath the surface. Taking such liberties with a tsar or tsarina would not do. There were conventions to be observed, proprieties to respect. Levitsky presents one of the great “ifs” of photographic history. What if he had stayed in Paris longer and developed his contacts with the artists and photographers there? What if he had been allowed to develop his talent? Would posterity have treated him more kindly if the Revolution had not instilled a new series of values? History is written in the indicative; sometimes we need to write think about it in the conditional. Many of the conventions in photography we take for granted today can be traced back to Levitsky. Some have become so popular that we forget their source. Among other things, Levitsky appears to have invented the use of multiple poses for the same model, the approach of mixing natural and artificial lighting, and the idea of interchanging backgrounds for the same shoot. He also worked on improving focus by inventing the bellows camera, which allowed the photographer to move the lens in and out according to the relative distance of the subject. There is something deeply poetic here. In each of these cases, we see two things coming together that had always existed but had never been used before in tandem. Bellows are a distinctive feature of accordions; attaching a lens and a camera to them was a stroke of genius. Photographers always had a background set for their studios, but Levitsky used several to pack more into a single shoot. Photographers might use artificial or natural light, depending on the setting, but Levitsky understood that together they could illuminate subjects in a way that neither one, taken individually, could do. Models would typically hold one pose and hold it (with some discomfort) until the photographer let them move again, but Levitsky realized that a series of different poses was perhaps more interesting. There is also a prosaic explanation to all of this. From a practical point of view, he clearly developed these techniques as a way to achieve improved results. But the more interesting consideration is that approached invention as the act of combining things, just as a poet puts two words together that were always there, but that, when paired for the first time, produce a shock and make us look differently at the world. 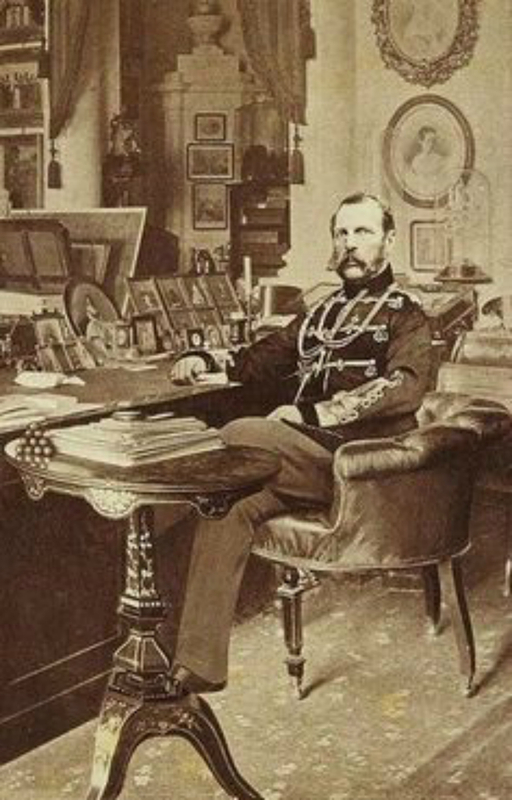 Alexander II in his study room by Sergey Levitsky.